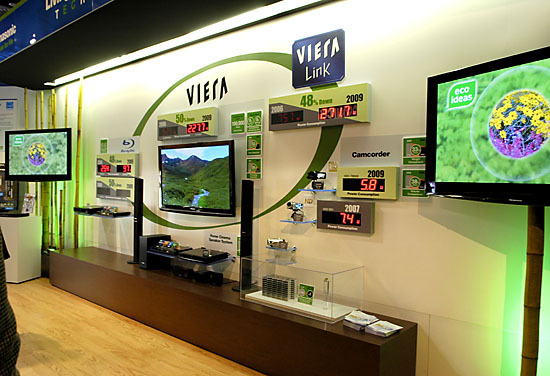 Coming into this year’s CES, we knew things would be different. With many large companies having no presence on the show floor, and estimated attendance down, we expected a different feeling from the show. After attending press conferences from LG, Toshiba, Samsung, Panasonic, and Sony, we can certainly confirm our thoughts. With the world’s economy in recession, CE companies have had to change their marketing approach from those flashy, obscenely large screens that nobody could afford (remember all those “World’s Largest TV” claims?). Companies are still showing off their fancy new gadgets, they’re just more affordable. 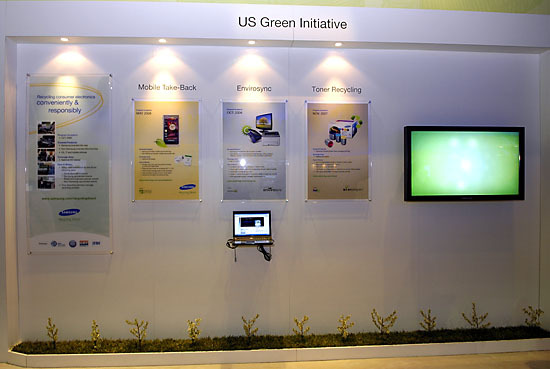 Netbooks like Sony’s P Series Lifestyle PC are quite popular on the show floor; however there is now a new emphasis placed on being eco-friendly. 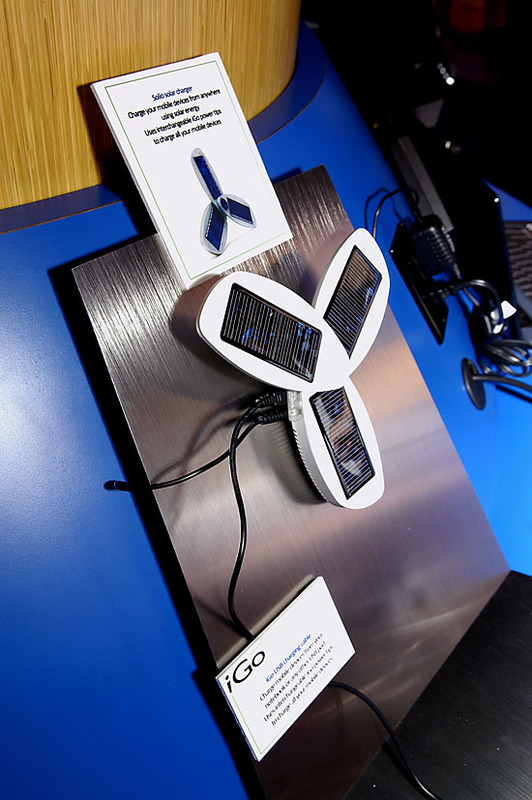 A solar powered battery charger? Green is in. 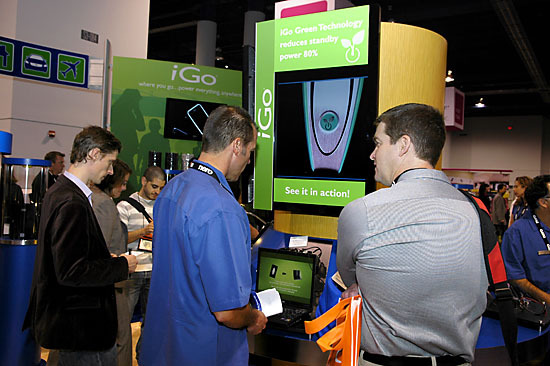 Every company this year took a significant portion of their allotted 45 min of time during the pre-CES press conferences to talk about the environmental impact of their products. From Energy Star 3.0 and ROHS compliance, to CO2 emissions reductions from factories, these companies are definitely starting to take the environment into consideration for their products. The popularity of netbooks have grown tremendously over the past year and on the show floor this year there was definitely buzz about some of the new models. 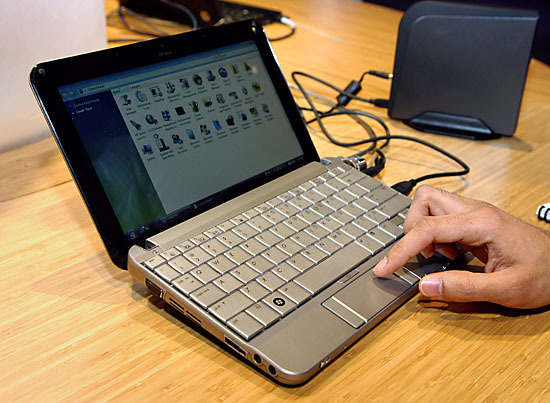 The Sony P Series launched as a “Lifestyle PC” however it’s basically a more stylish netbook. From a design standpoint, the device works well. 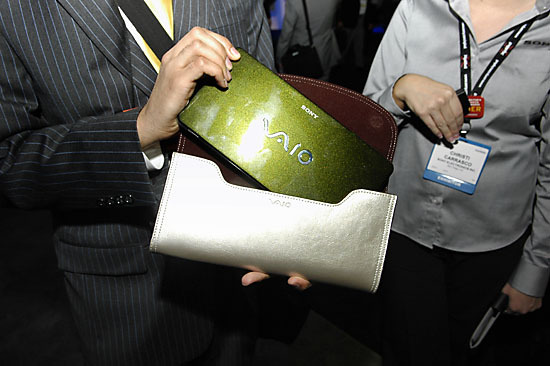 At 1.4 lbs and 8” wide, it can fit into a large coat pocket or purse. The keyboard is roughly 90% the size of a full sized keyboard which is a huge plus. It’s also available in 5 “fashion-forward” colors. 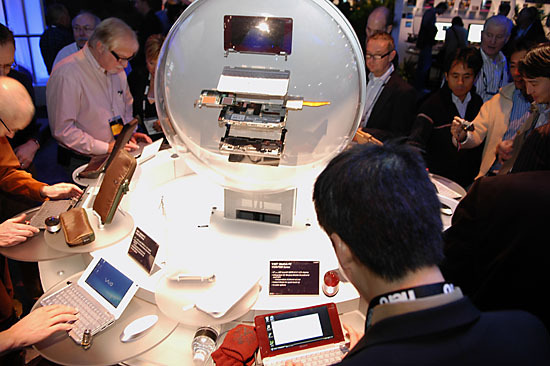 However the internals are definitely lacking compared to other netbooks. 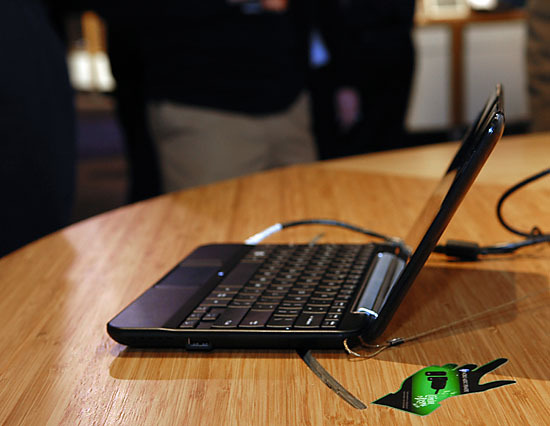 With a 1.33 Ghz Intel Z520 Atom processor and Windows Vista pre-installed, even navigating the desktop is sluggish. It took over a minute just to get to Device Manager from the desktop. And at an outrageous price point of $900, you’re not anything more than style for your money. For $500 you can get a HP Mini 1000 with a 1.6Ghz Atom N270 in a 2.5 lbs package. 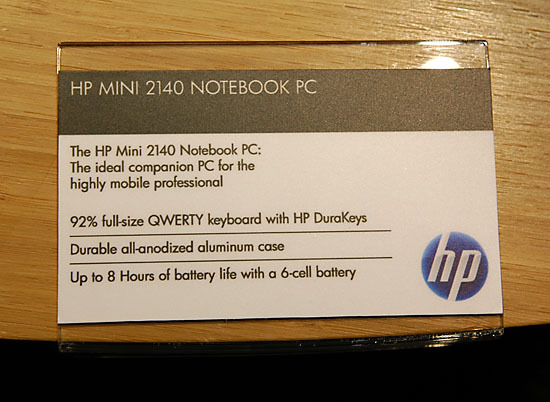 Speaking of the Mini, HP unveiled their new HP Mini 2140 aimed at the commercial market. Improvements over the 1000 include an aluminum case design and available SSD drive upgrade options. 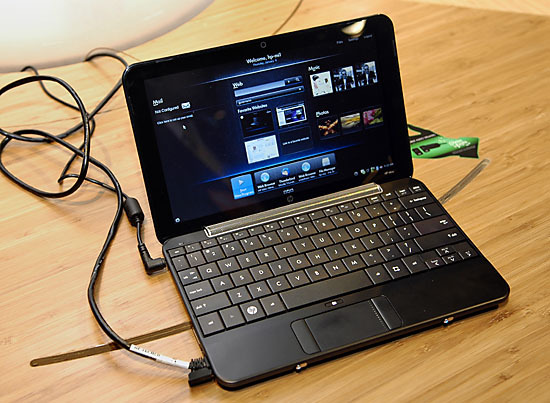 Starting at $499, the Mini has a 1.6Ghz Atom N270, 1GB of ram (max 2GB), and a 10.1” LCD display. 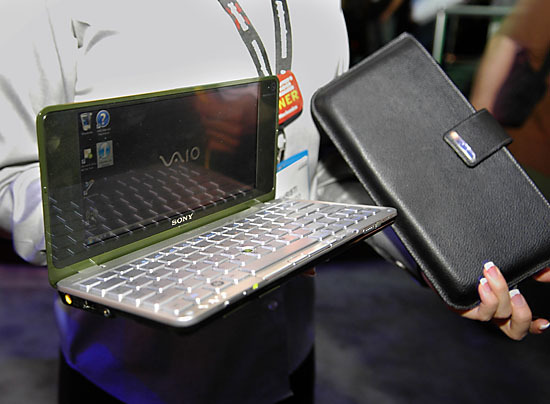 Compared to the Sony P Series, this netbook is much more useable, it just doesn’t look as cool. To be fair, the eee isn't 1.2lb like the sony is. Netbooks are slow. Even these $500-$900 units being toted here. People are usually willing to take 2 out of 3. I'll take slow, portable, and cheap. but not slow, portable, and expensive. 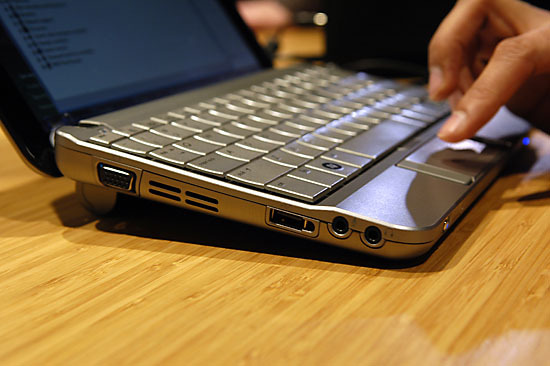 Netbooks have a perfect niche under $400. I've got an Acer Aspire One it's perfect... for $300. If I had paid $500+ for this kind of performance I'd feel robbed. I believe Microsoft's dev team has released an unsupported driver that allowed the wireless NICs under Windows to be emulated, allowing you to link an emulated wireless with any of the free Wireless AP software that is available today.